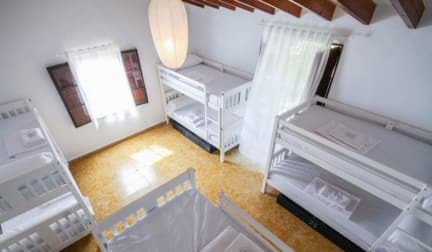 Sa Fita Backpackers - Albergue Juvenil kohteessa Palma de Mallorca, Espanja: Varaa nyt! Getting straight to the point: I didn't go to Mallorca for the party. I actually stumbled on to the picturesque municipality of Esporles thanks to this hostel. And I couldn't be happier. A dreamchild of the owners, of whom I only got to know Juan, much more than helpful: laidback, good-spirited, dedicated. The place was clean, comfortable, safe. The whole place felt more like a home than an accomodation. Bus services are regular and reliable, it's a great starting point for hikes. Great hostel, amazing atmosphere. Loved the area as well, very relaxed and not too busy or touristic as it was a bit further from the city. 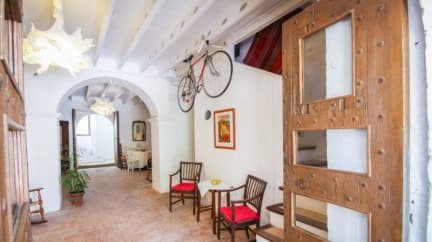 For someone who enjoyes relaxation and good for single travellers as well as you surely meet many nice people like I did! :) I have nothing negative to say about this hostel.